Contractors: F.W. Sawatzky Construction Ltd. 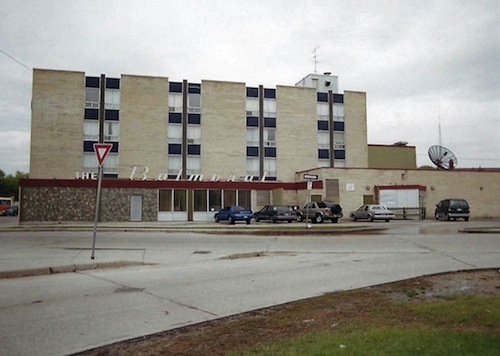 The Balmoral Hotel, 621 Balmoral Avenue, was constructed in 1965, based on a design by Chris Kaufman for Lloyd Finch Architects. 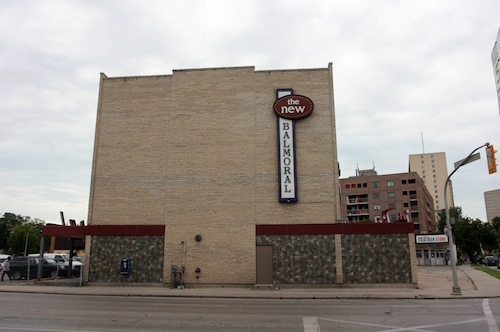 Ben Zelcovitch acquired this property in 1959 and obtained liquor licenses for the new two level hotel. The site was subsequently sold to Menesha Mandel, a longtime hotelier, who felt that the upcoming Pan-American Games of 1967 provided the impetus for increased accommodation space for the growing tourist market. The four storey hotel provided forty-five guest rooms and featured numerous amenities including a coffee shop, dining room, cocktail room, beverage lounge and three separate banquet and meeting rooms. Apart from updated signage, the hotel retains the aesthetic and structural integrity of the original design. "Proposed new hotel gets four licences", Tribune, 2 June 1959. 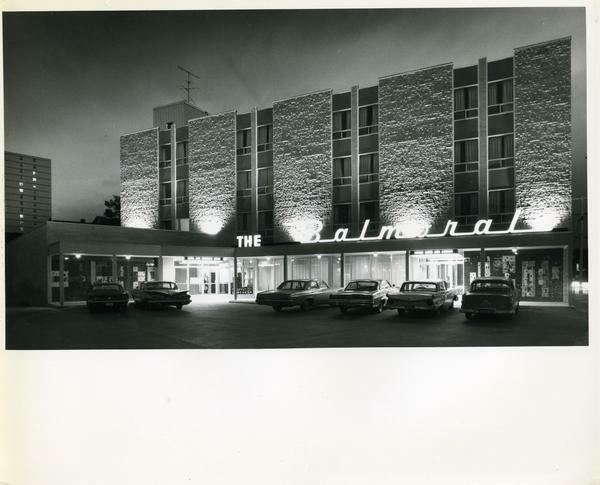 "The Balmoral", Western Construction and Building, September 1966, p. 8.